Home > Blog > Transactions > Mergers & Acquisitions > Growth Strategies: Is an M&A in Your Company’s Future? When they hear the term “mergers and acquisitions,” business owners and CEOs often visualize dealmakers wearing fancy suits in dark-paneled boardrooms, sitting around giant oak tables hammering out the details of multibillion-dollar M&A agreements. While this certainly happens, it’s not an accurate representation of all mergers and acquisitions — especially those involving mid-sized firms. The fact is, there’s nothing especially dramatic or romantic about most mergers and acquisitions that occur in the U.S. According to FactSet Research Systems, of the 3,350 disclosed M&A deals (9,174 deals were undisclosed) that occurred in the U.S. in 2016, 2,004 — or about two-thirds — were for less than $100 million. Only 316 deals were for $1 billion or more and 820 were for under $10 million.1 This indicates that most M&A deals last year occurred in the middle-market arena. So, should your company consider a merger or acquisition as a way to grow? M&A is one of two primary growth strategies, the other being organic growth — or growing by increasing sales and revenue. There are advantages and drawbacks to each of these strategies. Here, we’ll take a closer look at the pros and cons of growth by M&A. Rapid growth potential — An M&A can result in turbocharged growth for your business. Instead of spending years working to grow sales and revenue, you can literally double the size of your company overnight by merging with a competitor. In the process, you’ll also eliminate a competitor from the marketplace. The ability to enter new markets quickly — This holds true for both new geographic markets and new customer segments. If you only do business domestically, for example, acquiring a company that does business overseas could open vast new markets for your company. The ability to realize synergies between the merging companies — By joining together, companies are often able to realize advantages neither one could on its own. These typically include lower costs, greater scale, higher efficiency and shared resources. Potentially high cost — M&A transaction costs can run into the tens of thousands of dollars, or perhaps even more for a large deal. You may need to finance some (or all) of these costs or pay for them in stock, which will reduce future earnings and dilute ownership. An analysis of the costs compared to the revenue and cash flow benefits from the M&A should be reviewed before committing to incurring the costs. A loss of business control — Once you join forces with another company, you could be sharing management responsibility and control with the other entity’s ownership, management and perhaps board of directors. The level of control each side will have in the merged entity is negotiable, but suffice it to say that you might not have as much control after the merger as you do now. Mismatched and incompatible cultures between merged companies — This has been the downfall of many mergers and acquisitions that on the surface seemed like a no-brainer. If your company has a relatively informal and casual corporate culture while the other company’s culture is more formal, for example, this could result in a tremendous culture clash that threatens to undermine the merger itself. Putting together a strong team of M&A advisors is also crucial to success. Your M&A advisory team should consist of an investment banker, business broker, CPA and attorney — all of whom specialize in the various disciplines of M&A. Your internal team must have strong leadership experienced in this area as well. 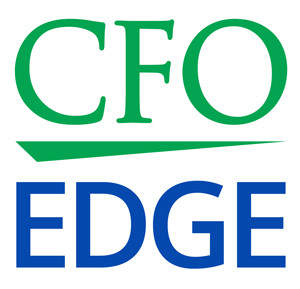 An outsourced CFO services provider can provide this valuable M&A assistance as a member of your advisory team. Data indicates that most M&A deals last year occurred in the middle-market arena. So, should your company consider a merger or acquisition as a way to grow? You must carefully examine the advantages and disadvantages of M&As yourself to determine if this is the right growth strategy for you. An outsourced CFO services provider can help you weigh the pros and cons of growth by M&A, as well as serve on your M&A advisory team if you decide to move forward with a transaction. 1 US M&A News and Trends; January 2017; FactSet Research Systems Inc.